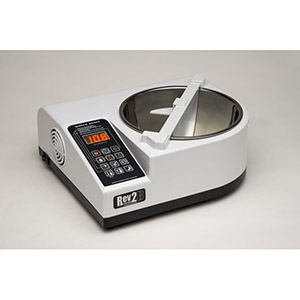 An economical alternative to the classic Revolation 2. Same features, same included components minus the Holey Baffle. 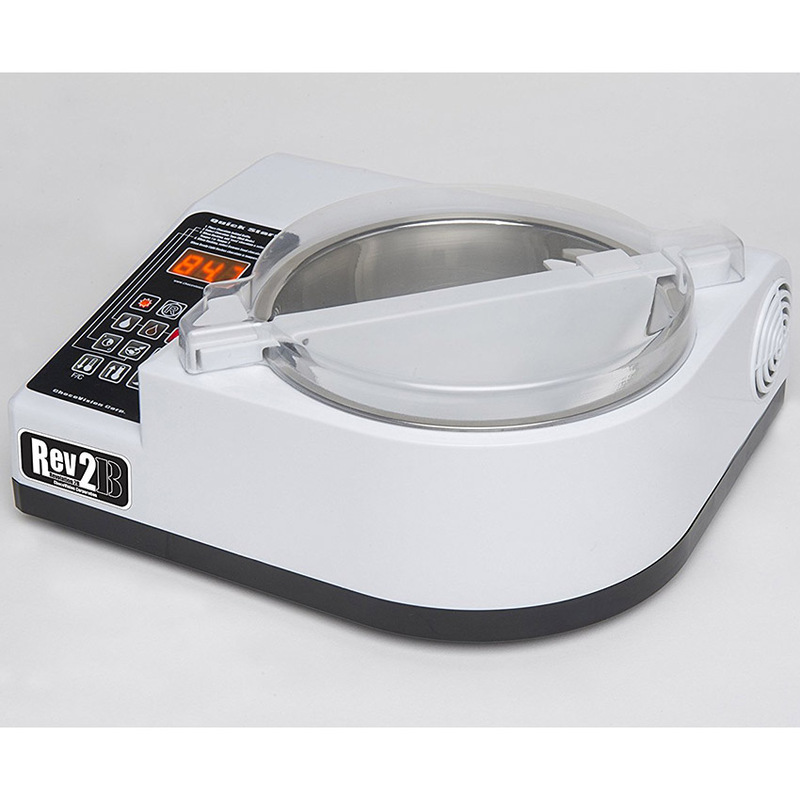 The Revolation 2B is a space-efficient tabletop tempering machine, with all the features for the professional Chocolatier. LED temperature display presents temperature data in either Fahrenheit or Celsius. Melts, tempers, sets and holds up to 1.5 Lbs. of chocolate within 2/10ths of a degree, all in about thirty minutes. FAQ: How is Revolation 2 different from Revolation 1? 1. Digital Display Screen: Displays the chocolate’s temperature as it moves up and down, from cycle to cycle, helping the users know at what point in the process they are. 2. Bowl Pause: Stops the bowl for up to 90 seconds at a time in order to dip the more delicate items (so they won’t break apart into the pool of chocolate). 3. 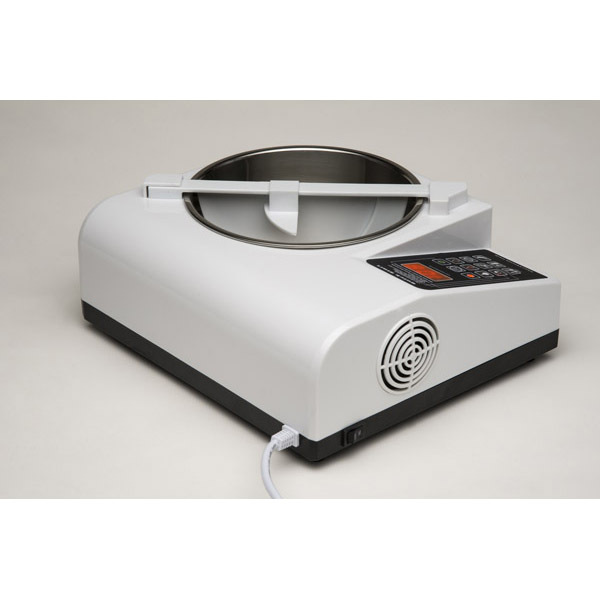 Manual Temperature Adjustment: Allows the user to raise and lower the temperature set points to conform to the more “exotic” or higher cocoa mass chocolates. 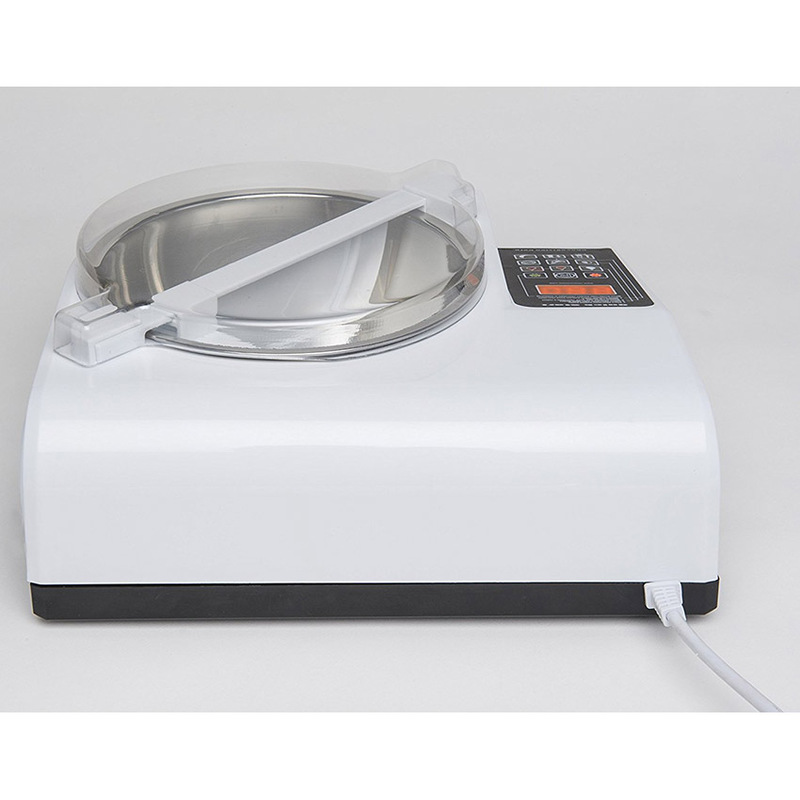 With Revolation 1, you must use the default melt and temper settings. 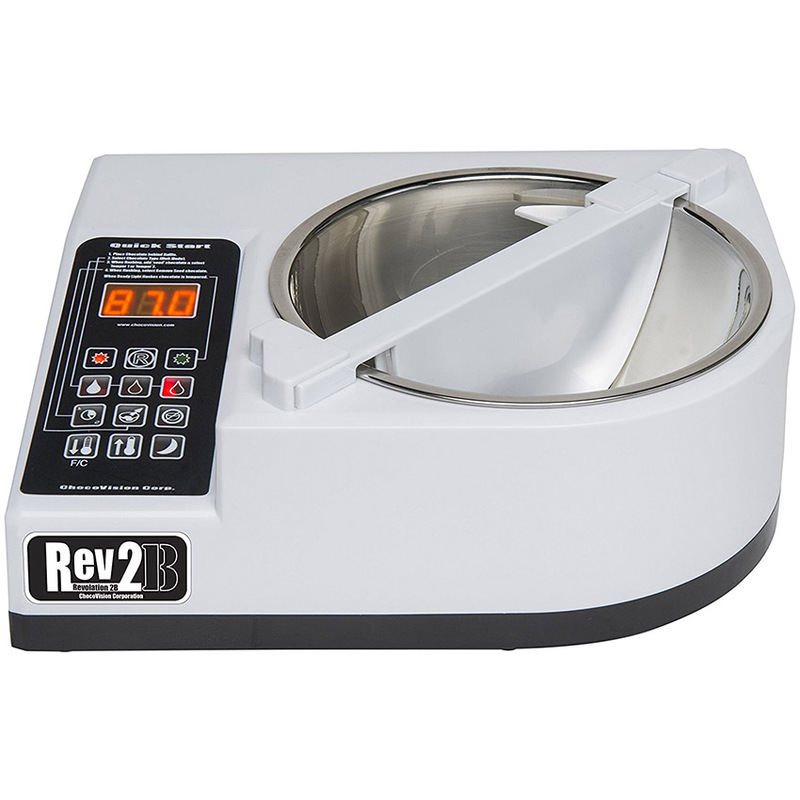 FAQ: How is Revolation 2 different from Mini Rev? Overnight Mode: Allows the user to keep melted chocolate in the bowl for extended periods of time, by cycling between 100F-85F while rotating the bowl intermittently. 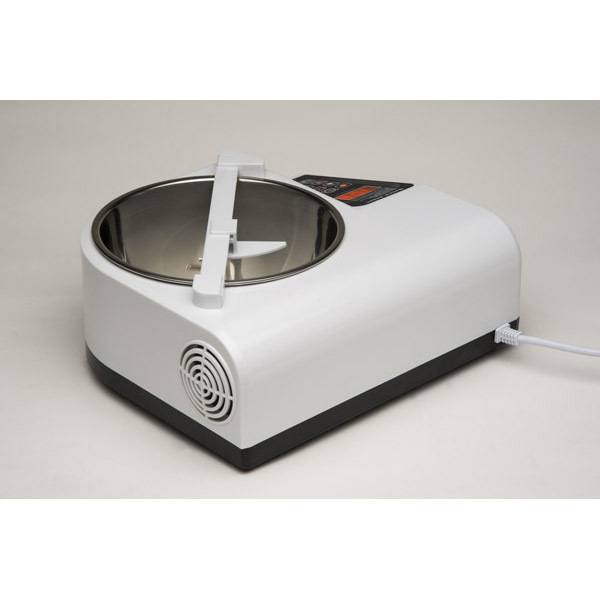 The use can then return to the melted chocolate and reset it to enter straight into a temper cycle, speeding up the cycle itself. The Mini Rev does not have an on/off switch. Performance I am loving this new machine! This makes dipping so easy and fast!! Small capacity.